While at Missa Cantata yesterday there was clearly some confusion on the part of the servers and consequently the congregation as to when they should stand rather than kneel. The MC said the servers should be standing for the orations, Gloria & Creed, Preface, Pater Noster and last Gospel. A video at St John Cantius has acolytes kneeling throughout like a low mass! It seems like there is various opinion about this. Is there flexibility, or a standard? This is a good question. However, I don’t have time to answer it. Can you good people help this questioner. This entry was posted in "How To..." - Practical Notes, ACTION ITEM!, Liturgy Science Theatre 3000 and tagged Missa Cantata. Bookmark the permalink. There are a variety of local customs in this matter. Here in New York, our practice has been more like the questioner’s instructions from the MC, which generally means that the servers assume the postures mandated for the choir (the clerical choir) during the Mass (See O’Connell’s Celebration of the Mass. This was the (or a) Roman practice. However, the congregation continues to kneel after the congregation, which is reflective of Irish/American practice. St. John Cantius’s practice also reflects a legitimate local custom, more reflective, I think, of German and some Irish practice. There are no rubrics for the congregation. Generally they copy the (clerical) choir and servers. It’s easy for the relative newcomer to the TLM (or to have been attending where High Mass/Missa Cantata is rare) to be confused. While following the servers isn’t a bad idea, there are a number of times when they customarily kneel while the congregation stands or sits. You should also not follow the instructions for the MC, since he is likely to be standing a lot more than anyone else not a Subdeacon, Deacon, or Celebrant. Sorry to use all caps to shout, but IT IS PERFECTLY FINE. Unlike in the Novus Ordo, there is no “forced fun for the congregation.” (As in the bulletin announcement I once read, “Here at St Hugs [made up name, but real announcement], we all stand for Communion and, as a loving community, stand waiting for our brothers and sisters to receive instead of kneeling.”) There are, in the TLM books, no rubrics at all for the laity–the times when we stand or sit or kneel are all customary, and often differ from country to country. And, while there are some posture instructions for the minor servers in the Ceremoniale, the Missale Romanum for the TLM has instructions on posture only for the Celebrant, Deacon, and Subdeacon. Yes, it is worth shouting out: NO RUBRICS FOR THE CONGREGATION. Just don’t worry. I wouldn’t, however, advocate the Belloc approach. As for servers: I serve low mass very often, on average once a week, and solemn mass much more rarely. I do admit to some confusion at the latter, even now. 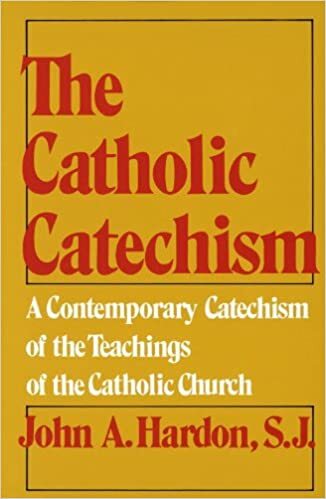 I have been reading Sacrosanctum Concilium recently, and did notice, in the translation published by the CTS, “In the revision of the liturgical books, let care be taken to see that the rubrics provide for the people’s part” Grr. Why? Bad idea! I think the British thing seems to be that a Missa Cantata tends more towards High Mass rubrics in the sanctuary, though most of the congregation seem to still just kneel throughout. I stand/sit/kneel as per choir rubrics, but I’m a singer who also hangs around with a lot of seminarians and religious so my default is to do that or at least stand during the Ordinary (or sit once Father sits) and at the “Oremus” (we stand to pray, after all). I believe Fortescue has a chapter that discusses this. A priest once told me, “When in doubt, kneel. It’s not a big deal”. The best thing one can do when in a new place is to sit at least a few rows back and just follow what everyone else does. Even if they are wrong (and many time there are incorrect things), it’s not your place to fix them. We were following the red booklet missal instructions (different for low and high Mass) but someone sent me a link to the document that William shared above saying its recommendation were different. I haven’t gone through it yet. All the more encouragement for me to be in the loft singing I guess! This is a frequent source of confusion that really should be put to bed once and for all; it depends on who you ask. That said, there are a few things I would advise after fairly substantial debate on this issue. 1. the sources for the ‘red book’ are dodgy. I have heard that when asked what they had used to determine what should (and shouldn’t) be in there, the authors admitted that they had made some of them up. 2. the chap linked in the document is, frankly, talking rubbish. I am sitting with a booklet in front of me from the 1990s, written by my grandfather (who was well able to remember what one did before the NO arrived) for the LMS which ‘prescribes’ what we all commonly know to be the Low Mass postures (e.g. lots of kneeling). This also contains ‘instructions’ for the Missa Cantata which are the broadly the same as those for the Low Mass. It seems to me that a first hand source is significantly more valuable than an academic ‘I’ve read the books and they say’ source. 3. for servers, at Solemn High Mass, the ‘standard’ here seems generally to be regarded as: KNEEL for the prayers at the foot of the altar, STAND once the priest ascends the altar, remain STANDing until the Hanc Igitur, KNEEL for the Consecration and until the Pater Noster, STAND for the Pater Noster, KNEEL during/after the Agnus Dei, STAND once the Blessed Sacrament is reposed in the tabernacle. 4. while I don’t necessarily agree with the view that the ‘Solemn High Mass’ somehow carries a pre-eminence, what is certainly the case is that the ‘Sung Mass (Missa Cantata) is a hybrid, and so the ‘instructions’ above can or cannot be followed almost at will. One might argue that the ‘proper’ way of serving a Missa Cantata is actually what you might call ‘low Mass rites’ – e.g. kneel for all but the Gospel – since incense at a Missa Cantata was really supposed to be banned until relatively recently. 5. Fortescue / O’Connell / Reid worries me: I am in the fortunate position of having a Second Edition Fortescue and a Fifteenth Edition Reid. They are not always similar. Where Fortescue tended towards the ‘English’ way of doing things, even if it were ‘wrong’ according to the Roman way of doing things, Reid tends towards the Roman way of doing things. I think what I’m getting at here is that we shouldn’t be too dogmatic. The Priest has to Say the Black and Do the Red, but for the rest of us, we have the opportunity to perhaps do things our own little ways and add our own little distinctive ‘enculturations’, which is rather nice! Coincidentally, I just gave a conference on the topic, How to Participate at the Traditional Mass, during the Traditional Roman Mass Symposium hosted at Pittsburg University in Kansas by Fr. Robert McElwee. You can watch the conference here on my Romanitas Press FB group: https://www.facebook.com/groups/537356566447406/ (as well as the other one on Veiling the Sacred in the Roman Rite). I should also mention that for the servers at High Mass, generally-speaking their deportment is to stand, though they may sit with the celebrant and kneel for the Consecration action and during the distribution of Holy Communion (though the torchbearers are generally kneeling the entire time that they are holding their torches). The pre-Conciliar authorities are unanimous in suggesting the people follow the postures of those “in choro”. Following this, the servers and people should stand after the Consecration thru the end of the Canon. The fact that, in most places, people kneel thru the end of the Canon suggests an unfortunate influence of the Novus Ordo upon our Traditional Mass. One thought is that the congregation should strive to have the same posture at Holy Mass, thus it would be good to have specific instructions from Bishop or Father on what is expected. It has been said, and quite rightly, that there are no rubrics for the congregation. 1. Before Mass – SIT or KNEEL. 2. Ringing of the bell, entrance, asperges: STAND. 3. Prayers at the foot of the altar: KNEEL. However, if the congregation sings a hymn and is not yet finished with it, many prefer to STAND. 4. Introit and Kyrie: UNCLEAR. Somewhere people stand, somewhere they kneel. 6. Collect: KEEP POSTURE. However, if there is “flectamus genua – levate”, it would be appropriate to get up after the Oremus to be able to kneel down again, and in any case to follow the instruction “levate” – with the presumably unintended effect that we stand for the oration on an Ember Day but kneel for it on a simple Fast day. 7. Reading up to the Gospel excl. : KNEEL AT EASE – that is, kneel down on the kneeler to state that you’re officially kneeling, it is after all Mass; but sit down at the same time, for more comfort. Those who don’t have a seat STAND. Other than in the NO, we do not get up for the Hallelujah. 9. Sermon: SIT, including for the repetition of the lesson but not including the repetition of the Gospel, where we STAND. People who don’t have a seat either sit on the floor or stand; they may allow themselves to lean against the wall. 10. After Gospel and sermon: STAND. We always get up, even if only briefly. 11. For the Offertory, KNEEL after the Oremus has been said. 13. Sanctus: UNCLEAR. The original idea is to stand for the Sanctus and kneel down afterwards. Some however kneel down immediately when the priest has finished the Sanctus (and the altar boys also kneel); and, probably because the time is so short, some other kneel down at the very beginning of the Sanctus. 14. (Rest of the) Canon: KNEEL. 15. Our Father to Pax Domini: STAND. 16. Agnus Dei: UNCLEAR. Kneel or stand. If standing, some kneel down at the first ringing of the bell when the priest has reached the “Domine non sum dignus”. 17. After the Agnus Dei: KNEEL, except for walking to Holy Communion, and perhaps, if the time after one’s Communion is long, communicants might sit down after having given thanks. 18. Postcommunion and Ite Missa est: UNCLEAR. Kneel or stand. 21. Recession and concluding song (whichever is longer): STAND. 22. After Mass, whether the organ still plays or no: usually KNEEL, and then leave, though theoretically it would also make sense to SIT. The fact that, in most places, people kneel thru the end of the Canon suggests an unfortunate influence of the Novus Ordo upon our Traditional Mass. I think it shows good Catholic sense. Talking of good Catholic sense, sometimes you see people sitting for the Gloria because the priest is. I cannot understand – if you’re singing along with the choir, you should be standing… If not, then why aren’t you! i mostly kneel esp if caught in a N.O. Mass during the Pater Noster because right after is the handshake of peace so if i am kneeling head bowed no one will usually try to shake hands with me.